Since the election of Donald Trump in November 2016, the political Left has come completely unhinged. Though this level of craziness may seem new to many, the nation has seen this same insanity before. As the past appears to be repeating itself yet again, many Americans are searching for the reason behind the madness. 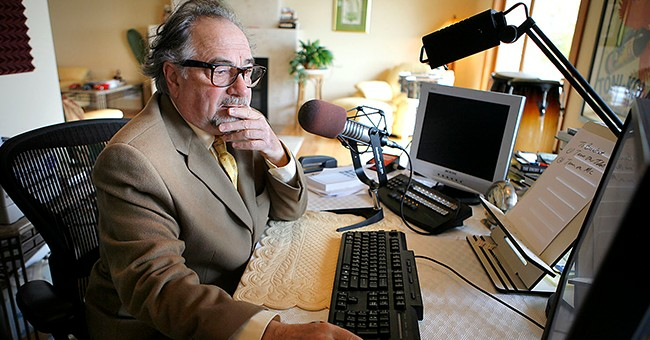 Dr. Michael Savage, a number one New York Times best-selling author, is one of those people, and he's ready to tell how and why America got here as he calls for this mass hysteria to stop. In his latest book, "Stop Mass Hysteria: America's Insanity from the Salem Witch Trials to the Trump Witch Hunt," Savage takes readers back in time revealing just how many times throughout this great nation's history "collective insanity - often prompted by sinister politicians with ulterior motives - has gripped the American public." From Christopher Columbus to the Salem Witch Trials to the "Red Scares" in the 30s and 40s to the mass panic spouted by modern-day Leftists, Dr. Savage's work analyzes these outbreaks of mass hysteria, among others, by looking at not only their causes but their effects. With his analysis, Savage shines a "light on the true nature and causes of American mass hysteria in the past" to provide an "insightful look into who and what is causing dangerous unrest in our lives - and why." Dr. Savage, who received his Ph.D. in epidemiology and nutrition from the University of California at Berkely, is a 2016 National Radio Hall of Fame inductee. His streaming radio show, The Savage Nation, is the number one streaming radio show in the country. With millions of listeners, his show broadcasts on more than 230 stations. Prepare to be enlightened and provoked by Dr. Savage's new, must-read book, as it has just hit the shelves. To order a copy today, visit here.